Sometimes you are in a valley and can not see the light. Sometimes you reach the summit of the mountain and survey all the awesome wonder God has made. Most times we are heading up that mountain or on the other side heading down. God has a purpose for each season and each challenge we face within that season. Courtney has been in Heaven for 20 months now. I don’t cry every day anymore. I don’t even cry every week. I save it for special occasions, like her birthday or a day when I need to just sit in the grief for a bit, mulling over my loss and allowing myself to go that dark cavern, way deep in my heart where I keep my pain and loss. One does not “get over” losing a child. One does however, learn a few new dance steps, so that one can move through life finding some joy and happiness again. Over the past three months or so, I have been wrestling with my life goals and dreams. I am approaching my 49th birthday in a few weeks. This has made me stop and really think about what I really want out of life. You notice I said “I wanted” right? When I was in Portland, Oregon last week, for the Catholic Women Rejoice Conference, God and I got to spend some quality time together in the quiet of the Franciscan Sister of Our Lady of Sorrows Convent. He has spent the last year leading me out of heavy grief and into a new dance, demonstrating each new move with patience and grace, allowing me time to adjust and get used to the new choreography. My sweet daughter has been with me in every moment of these lessons. I thought that it was all about what “I wanted” and while there, I may have learned another thing or three thousand. You see, we celebrated Courtney’s birthday while on the west coast and that night in prayer I felt led by the Holy Spirit to ask God the Father to speak to my heart, peel back my fear, and show me where He needed me to be. I asked Courtney to intercede for me during this time so that I would really listen and hear His voice if He chose to speak to me. Note to self: do not mess around when asking Courtney to intercede for you. My girl does not play around. Courtney taught me many things while this side of heaven but one of the most precious lessons is one I had set aside for a time, but no more. Love fully, holding nothing back. No regrets. Live everyday as if it’s your last one. My daughter’s life was filled with strife and difficulty, BUT, God always brought so much joy and hope to us no matter what was happening. It came through ALL the love and support you all gave so freely. It came from family members who moved mountains when needed to help us meet whatever need existed at the time. When it came to living in the moment, our daughter was the bomb dot com. Things would literally change on a dime, but, she still smiled and laughed and allowed us to love on her with wild abandon. I am so very grateful for that sweet gift. God brought these memories forward in my heart and mind last week, reminding me that He still had work for me to do for the kingdom. I have long held a dream of one day speaking and writing full-time. I have made many mistakes in my lifetime but in each and every one, I have found God’s forgiveness. Not only that but He has encouraged me and loved me through all the insanity. I have never been alone for one moment. I put my notebook down and spoke straight from my heart for 50 minutes about how God has made all things new in my life. I spoke about my husband, son and daughter, our ups and downs, our failures and triumphs. I spoke honestly, exposing the bruises in my life without fear. I told these beautiful women about the Lord’s love for them and how He wished to heal them if only they would open the door to their hearts. There were tears and laughter. In the end there was an embarrassingly long standing ovation, followed by hugs and whispered secrets, prayers asked for and given and so many blessings. I was blown away that so many women followed the prompting of the Holy Spirit and headed to confession. God must have been so pleased to have so many souls reconcile with Him that day. The Holy Spirit showed up in spades and I was witness to the wonder of His overflowing grace. It has happened this way every time I step out and give my redemption story. You think I would have gotten the message by now that maybe He had different plans for me but no. God is so patient with me. When I went to bed that night, I knew what new challenge God was calling me to. I knew that it was time to step out in faith of His provision for me and my family, and jump off the cliff trusting him with my landing. I came home filled with peace and a little bit of excitement. I chatted with the hubby, we prayed about it for a few days and then decided it was time to make some changes. After a year of serving my local parish family with love, pouring myself out to assist families burying their loved ones as well as all the other jobs that go with being the Liturgy Coordinator, it’s time for me to step back from that job and answer the call on my heart, placed by a loving God who needs me to walk in a new direction. September 30, 2016 is my last day on staff at St. Mary of Sorrows Church. I ask for your prayers for my pastor as he interviews and makes a decision on who my replacement should be. This will not be an easy thing for him. I’ll add my prayers to yours. I have no doubt God will show up in a HUGE way. After all, He said leap, so He will cover the hard parts with mercy and grace. I have no doubt. I am going into full-time ministry speaking and writing all about the love God has for us, no matter what we have done in our past. jerry will remain gainfully employed so we can eat and have a place to lay our heads at night. I’m going on the road to give retreats and talks all about letting go of shame and embracing who God made you to be. About accepting whatever cross God gives and wringing out every ounce of joy you can in honoring that gift. About finding joy after devastating loss, trusting God to renew and restore your heart. 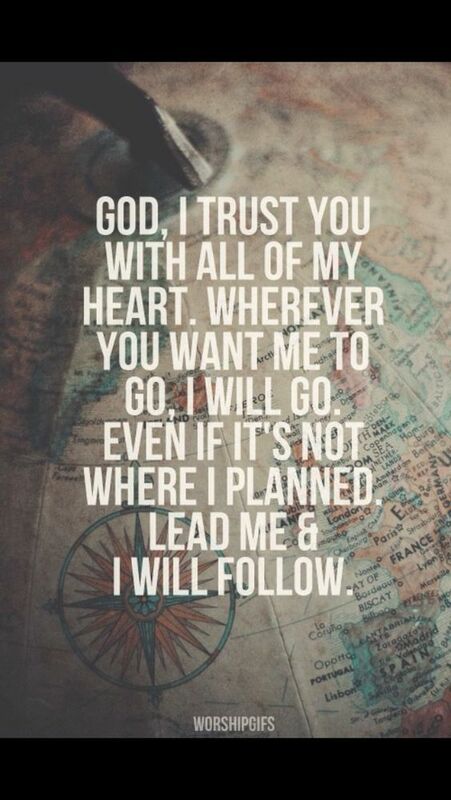 About letting God be sovereign in your life and walking with him. About keeping your eyes on him, never losing hope no matter what comes your way. I have one devotional book three quarters done and a memoir almost half way done. Life is short and time is precious.Courtney’s and my story needs to be shared. Life needs to be celebrated. The dignity of the human person needs to be honored. God gave me an awesome gift this past year. He allowed me to step out of grief and into service, showing me that I am capable of doing more than ever thought I could. He spoke through my pastor, urging me to love so many. He is now urging me further to step outside my comfort zone and bring His message of love and acceptance to as many as I can, all while letting go of the financial security of my steady salary. It is the answer to a decade long prayer and Courtney is right in the middle of it all. Every time my stomach rolls or I break out in a sweat thinking about what needs to be done and how crazy this all sounds, I talk to my girl. “It’s your fault I’m here so you had better intercede for me, moving mountains girl. Your momma needs you now more than ever.” She has yet to disappoint. There you have it my friends. Life is beautiful. Life is short. Time is precious. It is time to leap and go forth and teach. Won’t you cover me in prayer for this new adventure? Cover Jerry too since this requires his to really trust in the Lord’s provision for our family. Pretty please? Here we go friends…here we go. If you are looking for a speaker for your retreat or a single talk at your parish, give me a jingle won’t you? I can be reached at (mary_romance@cox.net) I am totally willing to go wherever and the subject matter of each talk is individualized for my audience, wherever and whomever they are. It’s time for new beginning #1,034 don’t you think? Wow, I have goosebumps too. You and your family are always in my prayers and I just know this is going to be huge! God Bless You for all you have given me as I read your blog each day, from the beginning to present. Alicia thank you for your prayers and support over the years. You are the best!! "Note to self: do not mess around when asking Courtney to intercede for you. My girl does not mess around." This made me laugh! How lucky are you to have your Courtney pulling for you every step of the way. You've go this, Mary. Congrats! Wonderful! I'm so excited for you as you begin this new chapter of your life. I can't wait for your books! All for Thee, sweet Jesus!! Go, Mary, go. Mary! I am so thrilled for you! Prayers abounding for your courage and joy in this new calling! Your girls is interceding in powerful ways – what a wonder. She is indeed Laura as are your two miracles. I talk to the trio of wonders everyday <3 They are working hard. Your faith and strength has inspired me many times over. I am so grateful I happened upon your blog a few years ago, you have taught me so much! I am excited God has called you to speaking, you will bring so many wonderful blessings to others. Watching God work in your life has been amazing! You are in my prayers always! Yes! This is crazy exciting! You've got my prayers! I will need every one of them Maurisa!! Thanks! wooooo! So excited for this new step for you! Thanks sweet friend. Hugs from VA!! Oh, good luck, Mary! <3 <3 <3 Hugs and prayers. Thanks Emily!! It's going to be quite the ride. This is so beautiful to hear! I will pray for you & your family! Thank you Annie. Keep those prayers coming!! What joyful and exciting news. Thanks for sharing your journey with us all. Praying for God's glory to proceed and follow you in this new adventure. As one of those 250 who heard you last weekend: Wonderful! Watching you speak was watching the Holy Spirit in action. Each little story, a little piece of you that built into a beautiful message. Thank you for responding to the call! Hi Katie!! Thanks for being one of those beautiful faces that were so encouraging in Portland. Keep those prayers coming!! Oh, Mary!!!!! I have tears in my eyes reading this!! I am so happy for you and this new direction God is leading you. I will definitely be praying for you!! My sweet and beautiful Beth. What a journey we have been on together as Mama's of saints. I covet your prayers my friend and those of your sweet girl. This is quite a step of faith but I know that I am never alone. Hugs and kisses from VA!! You're going to kill it, lady. Praying for you! Beautifully put, bringing me to tears. So amazed and happy for your new journey! It's going to be amazing. You are so kind MerMer. Thank you for all your support over the years. You are the best!! i too stumbled upon your blog looking for "catholic"….thats all, just catholic. wanting to fill an emptiness of faith. believed but didnt know if others felt as I. then, there was you and your wonderful Miss C. I have had so much pleasure from your messages. I hope to one day hear if you have a slightly southern accent or a more atlantic accent! so excited for a devotional from you! Hip hip hooray!!!!!!! Wow!!!! Beautiful!!!! Praying for you and your family! God's generosity is AMAZING! Praise God!!!! So happy and you will be awesome. A glorious voice for life, Godspeed! Oh Mary!! I'm so excited for you and all the hearts that will be blessed by your story in this new adventure! Our God is always doing something new isn't He? Prayers for your sweet family! 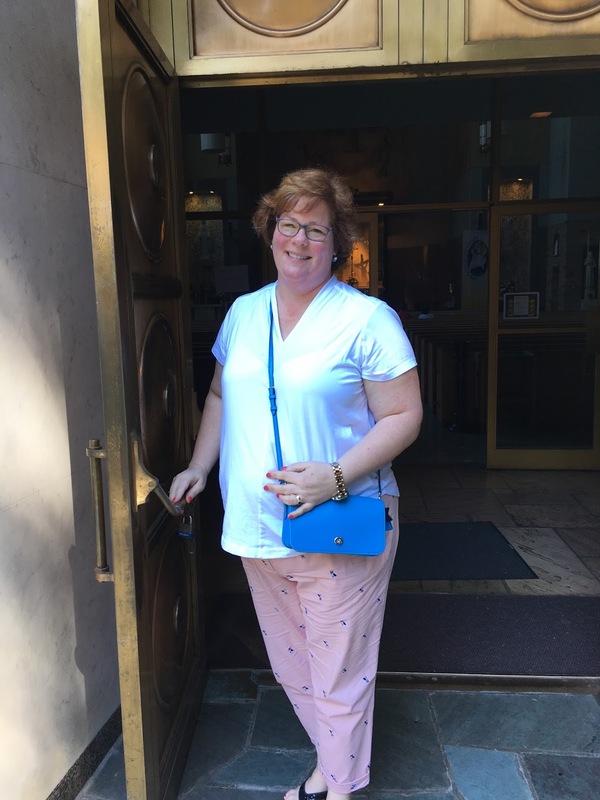 Hi Mary- I'm a Protestant Christian who was present at Catholic Women Rejoice in Portland because of a desire to learn more about Catholicism. One of my favorite parts of the day was your story of being at Lourdes. Apparitions and pilgrimages have seemed to me foreign and largely superstitious or weird. But you helped me to get past the initial skeptical impression and be amazed at what God can do. All that to say, I hope you don't limit your message to Catholic groups alone. You are an Evangelist (in the pure sense of the word rather than in the negative stereotype) and you are a bridge for helping others understand Catholicism better. Thanks for coming! And thank you to your husband and son for sharing you! I was there in Portland, and reading this just now made me cry all over again. I can honestly say your talk was one of the most moving and beautiful talks I've ever had the privilege to hear. Thank you for your gift of self and for being open to the promptings of the Holy Spirit. We were all blessed that day! My prayers will be with you! I'm so happy for you Mary! I hope to have the privilege of attending one of your speaking events in the future! This is amazing Mary!! I was privileged to be in that audience at the CWR conference. Thank you for allowing the Holy Spirit to work through you. The lines were incredibly long to confession that day. Your story was raw, real, heartbreaking and hilarious at the same time. I cannot wait to see what the Lord has in store for you! Such good news Mary.. Your words have lightened my heart for years.. Thank you for deciding to spread them for the Lord!! Mary, this is amazing. Thank you for your 'yes' to the Holy Spirit's promptings. Can't wait to see where God leads you!! Wishing you all the best in your new calling. I'm sure you will do well. I was very excited to read this – I found your story so moving when I read it on your blog, and have enjoyed so many of your insights on your blog. You are such a compassionate and relatable person, and I think you have so much to share. I will pray for success in your new endeavor! God bless you as you begin this new chapter. I'm sure you will do very well, with St. Courtney in your corner. You are inspiring so this is no shock to that the time and opportunity have a lined for you! My daughter has very similar issues that Miss Courtney had.. It is not easy at all as you know, you handle it all with such grace. You make me feel like no matter what it will all be ok, to look forward no matter what… thank you with all my heart♡ i wish you the best in you new endeavor ! If any one can, it will be you!